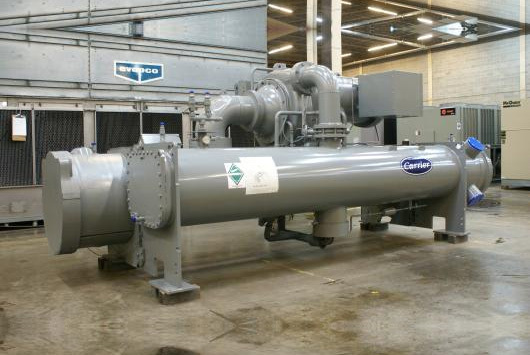 This 2003 450 Ton Carrier Water-Cooled Chiller (Model #: 19XR-3232352CNH66-) was recently removed from a manufacturing process at a Fortune 500 company’s plant that was shut down. The 2400 volt power can generate great cost savings versus lower voltage units. Take advantage of this opportunity to upgrade your current process with a beautiful chiller. It is located in our facility in Dallas, Texas and is ready to ship to your location. SKU:1207. Category: Water-Cooled Chillers for Sale. 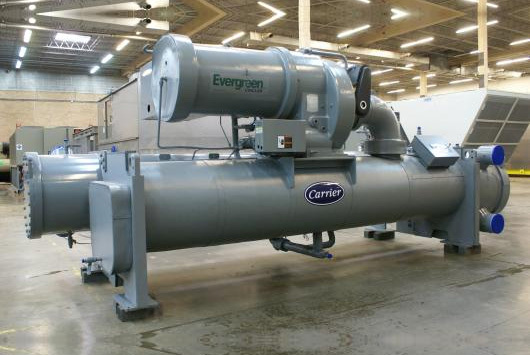 Tags: Carrier, chiller, used, water-cooled.